For the 2018-19 school year, there are 17 top Non-denom. / Christian boarding schools located throughout the United States and Canada, serving 6,563 students. You can also view by religion, browse our full boarding school directory or specify additional search criteria. Erie First Christian Academy Photo - Every boarding student in the past three years have been accepted to attend a college or university. EF Academy Torbay Photo - Beautiful Torquay, England. Home to EF Academy Torbay. Lustre Christian High School Photo - LCHS students perform a melodrama "Trial by Error" while the audience enjoys pie and ice cream with the show. McCallie School Photo - Through coordinate activities with our sister school GPS, our students interact with young women on a daily basis. 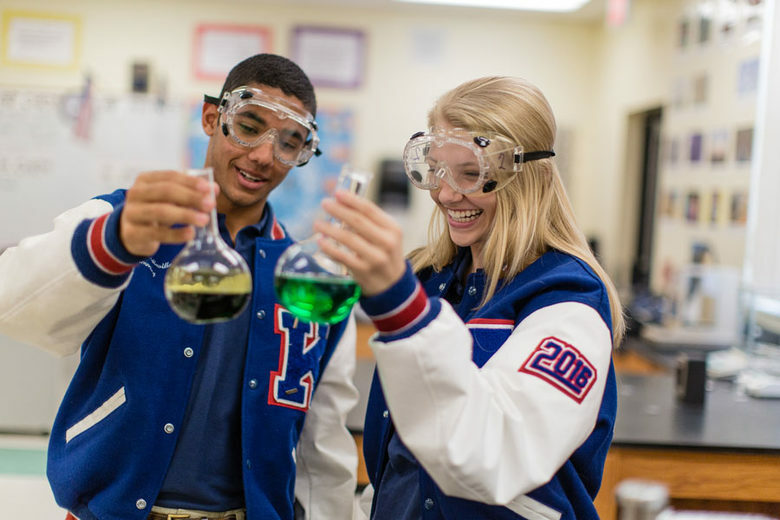 The King's Academy Photo - With 47 Advanced Placement (AP), Honors, and Dual Enrollment courses available, TKA's academic program serves to challenge even the most gifted students. Specified tracks include: Aviation, Business, Law, Engineering, and a nationally recognized Conservatory of the Arts program. Asheville School Photo - Boyd Chapel. Our Core Values are perseverance, integrity, respect, and compassion. Hillcrest Academy Photo - Graduation is a capstone event with a century-old tradition of singing the class song on the front steps as a final launching point for the Senior class. Tallulah Falls School Photo - So much of a student's success in school can be related to their peers. Our students come from all walks of life with the common goal of reaching their highest potential personally and academically. As a community, they encourage each other to greater success. North Central Texas Academy Photo - The NCTA music department produces some outstanding musicians and singers -- many taking #1 ratings at State TAPPS meets. The NCTA art team captured the TAPPS State Championship three years in a row -- 2011, 2012, and 2013 . . . an amazing feat! Sunshine Bible Academy Photo - The Timothy Seaman Memorial Chapel is home to weekly chapel services as well as hosting special events and speakers throughout the year. Houghton Academy Photo - Classrooms, offices, auditorium, gymnasium, and cafeteria are all located in the primary school building.